Heating and Aqua Therapy, and more. 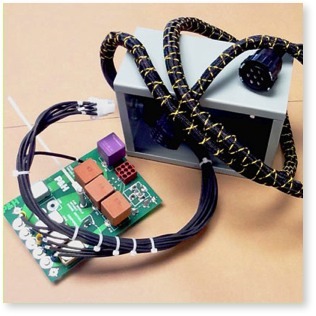 All our wiring harnesses are 100% computer tested. This ensures that you will not experience line shut-downs or failures in the field. 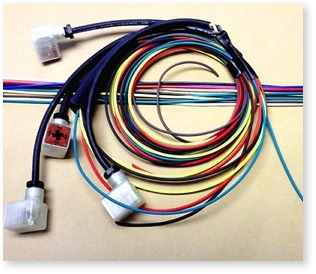 Whether you need simple jumper wires, battery cables, or large complex wire harnesses, our experienced staff of assemblers will manufacture your wire harnesses to your exact specifications. 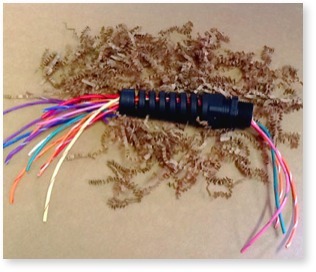 Our facility also has the capability to handle molded connectors, braided or convoluted slit loom. We offer custom wire dyeing and striping on Vinyl, Nylon, Teflon, or Polyethylene coated wire. 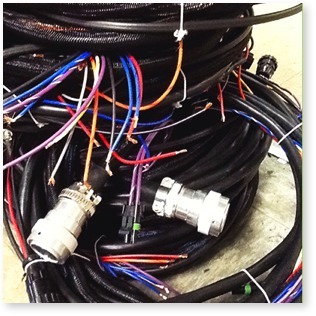 Whether you need one spool or a barrel of wire, our facility can handle all your wire dyeing and striping needs. From 8 gauge to 20 gauge, our striping and dyeing machine will produce precise, consistent quality dyed or striped wire in any color of the rainbow. 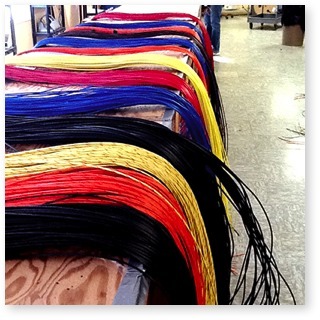 Our wire specialists will dye or stripe wire to match your specifications. Our manufacturing facility includes the latest automatic measuring, wire cutting, striping, dyeing, terminating, and hot stamping equipment to ensure fast, precise, reliable and consistent quality in our products. Whether you need 00 battery cables or 24 awg appliance wire, our wiring specialists can cut your order to your exact specifications, with quick turn around. Our engineering team can assist you with your design needs from the prototype phase throughout the production phase to deliver a product that meets your requirements, high standards and deadlines. Please contact us with your project information, details and requirements. Do you need a hard-to-find part? Our parts location specialists love a challenge. They are dedicated to finding your parts at the lowest possible cost to you. As a distributor of a wide variety of electrical products, including AMP, Deutsch, Heyco, Molex, Olflex, and Packard Electric, we have the resources to find what you need. We have stock when most people don't.